Peachtree has recently be remaned to Sage 50 US Accounting Software, while still under the same company Sage. 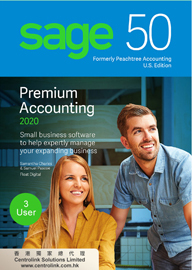 2019 Sage 50 US Accounting Software, the latest verision of Peachtree, has already released by Sage. According to the feedback from our clients, they have been misleaded by shops and websites that Peachtree is no longer available and they eventually switched to purchase another accounting software. For the sake of customers' (your) best interests, please note that Sage 50 Peachtree and WIll continue releasing their new version annually. Our team is to help clients convert or migrate PEACHTREE from old version 1.0 to the latest 2019 version. Please feel free to contract us for special promotion and sales.